Skywalker is a storyteller, writer, poet, and nurse. She has lived and worked in many places in the US. 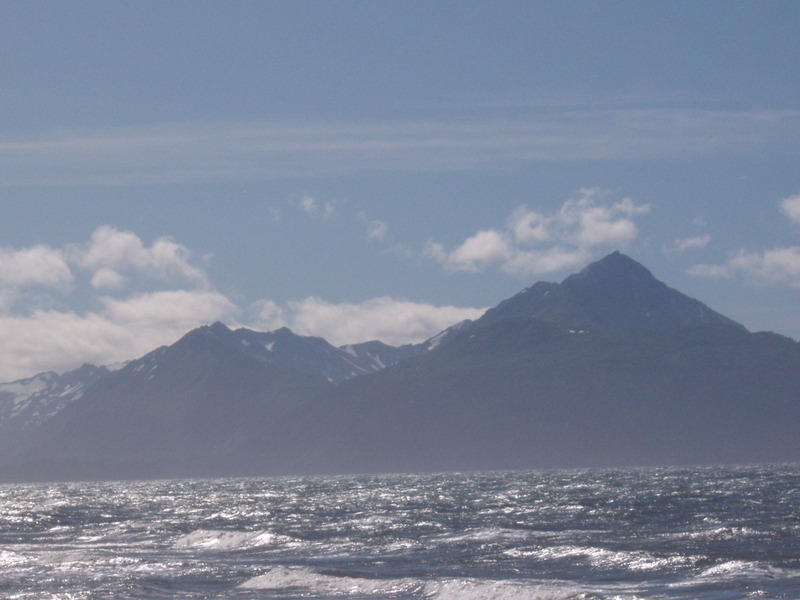 Currently she resides in Homer, Alaska (the “cosmic hamlet by the sea”) where she participates in the circle of life by delivering babies and caring for those who are dying. Skywalker’s latest book is called The Ultimate Wonder, World Stories Illuminating Death. I found her online recently when I posted the piece on the Tibetan Book of the Dead. Her book contains a wealth of wisdom about death drawn from cultures throughout the world. In many ways, it’s a very brave book given that we live in a society that avoids any discussion of death. I hope readers will seek out this unique book and bring these stories into their own lives to open up a dialogue about death. Skywalker has done an amazing job in selecting these tales and retelling them in a way that makes their inherent wisdom accessible to us all. Welcome Skywalker and thanks for agreeing to do the interview! I haven’t come across a book with a collection of stories about death before. How did the idea for the book come about? Ellis, thank you for inviting me to talk about my work. You are right, when I researched books on death, I could find nothing like The Ultimate Wonder, even among storytelling collections. It evolved from a storytelling program I did as podcasts on my website a couple of years ago. In December, we commemorated the anniversary of the Sandy Hook Elementary School shooting. That event touched many of us in a deeply profound way and you dedicated this book in part to the victims. Can you talk a little about how it affected you? I was working as a school nurse in an elementary school when that tragedy occurred. So, I really felt the loss, the horror, the sadness. But, I also saw it as a reflection of this country failing, as individuals and as a society, to recognize our responsibility for such crimes. That this country continues to hold the “right” to own a gun above the commandment to treasure life only assures we will continue to endure these tragedies. Yet, on the spiritual side, whether one believes in Christ’s heaven or Buddhist reincarnation, none know the merit and grace those sacrificed earned. However, we, the living, are the ones left to grieve and to strive to prevent such disasters. Only through our own courageous efforts to create a society that recognizes that guns are more dangerous than cigarettes or drugs to our society and that everyone needs to be guided with wisdom and compassion. I love that you grouped your stories by theme (Death is a Nurturing Woman, Die Before We Die, Laughing in the Face of Death, Death Embraces Everyone, Resurrection). Did you specifically go looking for stories to explore each theme or did your favorite stories just tend to fit the themes? These are stories I had told or wanted to tell over many years. Some I have never told because people do shy from stories about death – and that is why I chose them. When I did the podcasts I used different groupings. The themes developed as I looked at the stories I had chosen and found I could group them by the similar themes they possessed. Does your experience as a nurse give you a different perspective on death than maybe most of us? Nurses learn to accept death’s reality more easily than other people, even more so than doctors. We try to relieve the suffering of people whom we know are dying, sometimes even before doctors or family members want to admit what is happening. Being a nurse, I have seen that intractable pain and invasive procedures – that do not lead to wellness – can be worse than death. And I have seen a restful peace on the face of many immediately after death. I naturally loved the stories you chose from the Buddhist perspective. Which stories resonated with you the most and why? Do you have a favorite you love to perform? Among my favorite are the Buddhist and the African stories. I like Kisa Gotami because it is short and I think a story that can be used to comfort anyone, especially those losing a child. Three Wondrous Answers is one I’ve told several times. It’s important because it speaks of the importance of recognizing that all we have is now in life and we should not squander it. Transcendence is special to me because it is a love story. For that same reason I really like the African stories too, because they combine both love and death. But I like to perform all of the stories. We live in a society that shies away from talking about death. How can your collection of wisdom stories help open a dialogue about this largely taboo subject? Another reason I decided to write this book, was a comment I received from a friend who listened to the podcasts. She told me one of the stories helped her to talk about death with her little niece. I know that these stories, just by their nature, will open up a dialogue because that is the power of story. So, I’m really trying to market the book more, and eventually want to produce a print version. In addition, I’m making some informative free brochures to offer people to open dialogue and help them prepare for the end of life. Can you tell us a little about your previously published book? Are you working on another book at present? I actually have two other published books. My chapbook of poetry, I Am That We May Be, was published by Third World Press many years ago. I’ve posted a lot of those poems on my blog and eventually intend to release another book of poetry. My other e-book, Illimitable Beauty, is a Kindle Single. It’s a novella in which a woman has out-of-body experiences which take her around the world, into deepest spaces of the universe, and down beneath the earth’s surface. These experiences lead her to realize the power of her own diamond consciousness. I have several ideas for other books – but right now, my primary goal is to lead readers to The Ultimate Wonder. So, my next haiku project, I’m working on now, for my WordPress Blog, is 365 haikus on the theme of the ultimate wonder. Illimitable Beauty is available on Amazon Kindle Books. Thanks for the invitation Ellis. And thank you Skywalker for all the gifts you bring into the world! 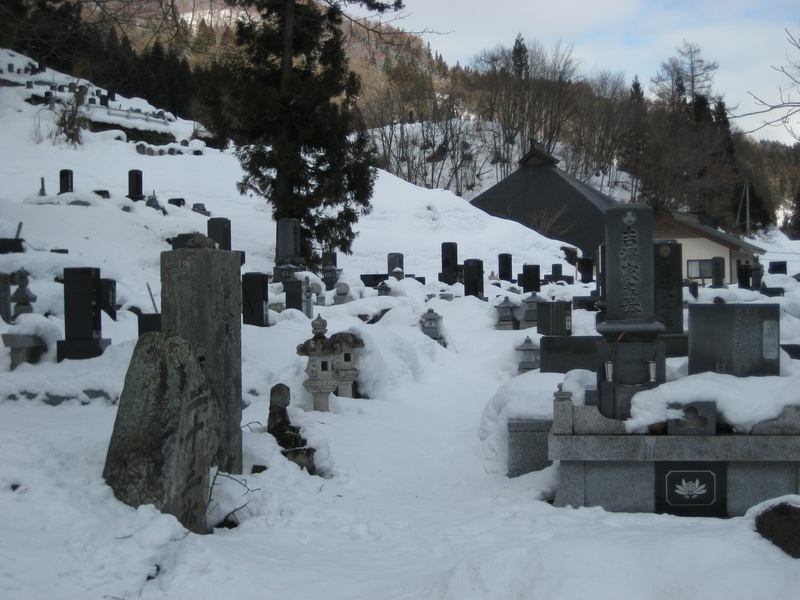 Love the picture of the snowbound graveyard! I do too. There should be a book of these kinds of photos. Maybe there is. Thanks for shining your light on death. I’ve heard that as Buddah lay dying he instructed his disciples to use the moment, to use the light of his death. How beautiful is that? It’s as beautiful as that moment can be. Thanks for sharing again. Thanks for sharing this information. I enjoyed this interview. I write picture books. And when I write about death with children, I am always told not for picture books “at this time.” With what happened in Newtown, CT, this is a sensitive issue for children and publishers want books that are “character driven” versus “plot driven”. Maybe, there will be a time when we can go back to writing and teaching lessons to children. Than trying to crack them up with page that turns. This was a great post. BTW, Thanks for stopping by my blog. It is appreciated. I enjoyed this interview very much as I did your blog. Keep up the good work both! Great interview, Skywalker is an angel among us. Thank you, LClark. But, I am simply a storyteller and writer, trying to find readers. I have not read Skywalker’s book but I need to. Death is a topic few writers tackle and even fewer do well. The more discourse centered on issues of death and dying the better, especially in light of Western culture that not only esteems violence but glorifies materialism. Great interview that leaves us with much to chew on. This interviewer’s questions encouraged me to re-read my book. What do you think? Thank you,Ilene for wanting to share this with those you work with. The Hospice Group on LinkedIn had a month long discussion about seeing death as the ultimate wonder. You may find it ignites a lively discussion among those you know. I have often wondered if sometimes our bodies may have a certain period of time on this planet and our souls may recognize when this is ended. Doctors may try desperately to keep the form alive with meds and machinery long after the spirit is ready to move on. In “Spiritual Dimensions of Healing,” by Dora Kunz and Dee Krieger, they speak of helping those ready to pass over find peace. We are not always doing that with our grieving for expected loss, or with our mechanical pumping of corporal juices and calling that life-saving. I think the ego holds on to fear and a lot of people cling to life not knowing what’s on the other side. Even pain is preferable to uncertainty. In a society where death is seen as a failure, graceful exits may not be seen as valuable. After all, we fight disease. We don’t have a good model for not fighting. Our health care system spends huge amounts on the last 6 months of life when, for the most part, death is inevitable. Living wills have helped some and so has hospice care, but as a society we’re not dealing with this issue well (and don’t get me going on the right to die!!). Ellis, thank you for bringing this book and author to our attention. I just went to Amazon and ordered/received it on kindle. The topic is so important and until recently, I’ve really avoided it. Now that I’m exploring, it’s becoming “easier”… fitting into deeper wisdoms. So happy you’re finding my book of benefit. Please share it with others so we can get this discussion spreading. Excellent interview of a fascinating individual, thank you. Thanks Ellis, it looks great. Thanks for the reblog, Victor.